Simply put, this novel is a whole lot of fun. With a voice so clear and consistent, you happily find yourself giving in and reading with a cowpoke's twang. Even if you've never had an interest in the Old West and think it's for the birds, prepare to think again. Half Broke Horses is a laugh-out-loud lesson on learning to fall, a story about the human spirit, the courage of adventure, and the choices we make. Jeannette Walls is a true credit to the teachings of Lily Casey Smith: Half Broke Horses stands on sturdy legs of its own. (Reviewed by Megan Shaffer). Half Broke Horses [is] the tale of yet another free-spirited wisecracking relative, her maternal grandmother, Lily Casey Smith. Think a rifle-toting, horse-breaking Annie Oakley in a biplane. Wilder's stories have acquired such mythic power…that it can be easy to forget how many American families shared similar histories, each with their own touchstones of calamity, endurance and hard-won reward. 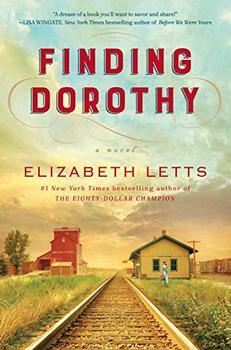 With convincing, unprettified narration, Walls weaves her own ancestor into this collective rough-and-tumble heritage. ...an elegant act of literary transubstantiation... a narrative as bold and self-assured as a cowboy's lasso skills. Lily never gets far from hardscrabble drudgery in several states ... but hers is one of those heartwarming stories about indomitable women that will always find an audience. Told in a natural, offhand voice that is utterly enthralling, this is essential reading for anyone who loves good fiction—or any work about the American West. To the end Lily is one tough bird. Like her grandmother, Walls knows how to tell a story with love and grit. Very good read, captivating, heartfelt, and most adventurous. 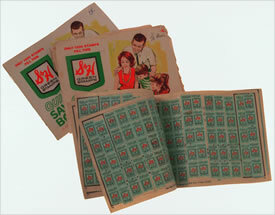 Chances are if youre under 40 you might not remember S&H Green Stamps, but since Im one step over that hill, I clearly remember licking those sticky little stamps and dreaming of all the possibilities they held as I carefully pasted them onto the enticing matching rectangles. For those of you who can recall pressing those little postage stamp sized tokens into their respective booklets, youll know just what Lily Casey Smith was talking about when she used those very same stamps to purchase a few choice items to furnish her home. By turns cattle rancher, forest ranger, outfitter, masseuse, wife and mother, Bell vividly recounts her struggle to find solid earth in which to put down roots.